In just a few short weeks, it will finally be time for the best season of the year…Fall! I’m so excited for sweaters, boots, and trips to the pumpkin patch, although I can do without having to rake up 30 bags of leaves. 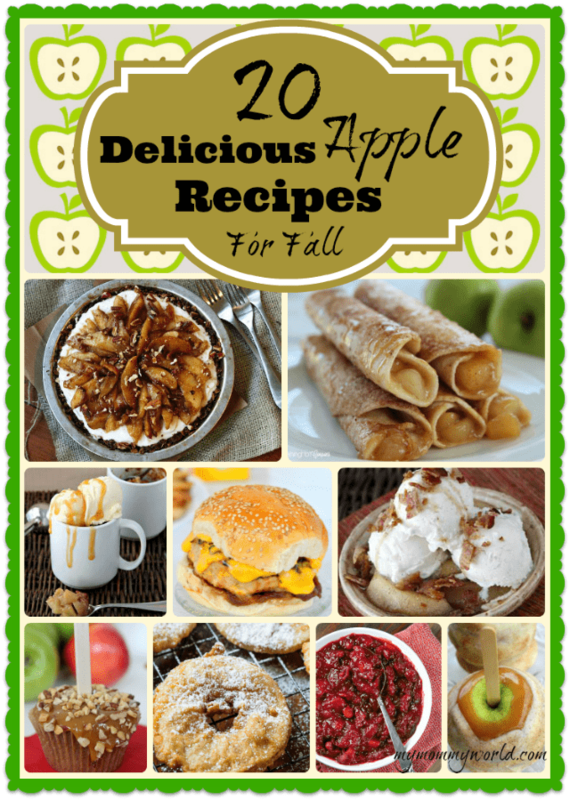 Take a look at 20 of the most delicious apple recipes for Fall…they’ve got you covered for every meal, even dinner! I love it when I can get newly picked apples from our farm stand. I’m hoping to make some of our favorite apple recipes in the next few weeks. I’m going to have to try a couple of these recipes you’ve shared. Now to figure out which one to try first. Thank you so much for including a recipe from DIY Candy – I will share! You’re welcome Amy! I’d love it if you would share the post…thank you!